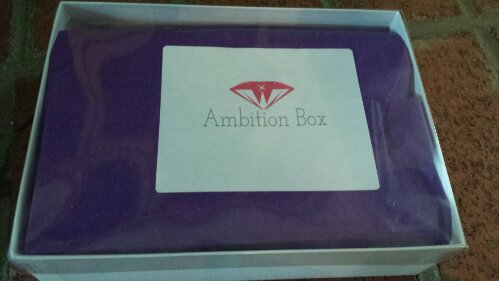 Ambition Box is a new box that I have added to my collection. While it has been around for a bit, I’ve noticed a spike in popularity lately as they’ve produced some great boxes, full of high-quality products. 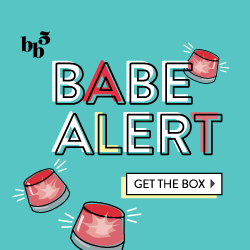 Ambition Box is a little bit different than your usual beauty box, as although it includes beauty and makeup products, it also has a cute extra item such as jewelry, mirrors, etc. Their box came within a normal white mailing box, with some packing peanuts to keep it from moving around inside. Once taking it out of the mailing box, I noticed it had a unique look to it: a clear top with their logo that you remove to dig into the good stuff! Here’s a first look at my Ambition Box, all packed up and ready to be unloaded. I was skeptical at first with this box/company as they work through PayPal and had a mix of reviews, but I could already tell just by this one look that I would be happy with my decision to get this box! I’ve never heard of Celazome Lip Treat before, but after reading the box and seeing how it claims to be a 4-in-1 treatment that “delivers healthy, beautiful lips. Long-lasting hydration repairs lips dramatically and rapidly, while the antioxidants and botanicals protect this delicate skin from daily stress and correct signs of aging. Through collagen stimulation, lips will look young, soft, and plump” I was sold. I even looked up the price for a full-size bottle and it’s almost $40! Woah! If it costs that much and has good reviews, I have a feeling it’ll be a win! I will test it out each night for the next week and see if I notice any changes. It was hard to get a ‘clear’ picture of this due to the plastic packaging, so I apologize for that. But anyway, this Sugar Scrub by SkyClad looks awesome! I love all bath and body products, and so I’ll be testing this out this week. At first, I wasnt too sure what this Purely Pro Cosmetic was. I had to read the back label to differentiate it from being a makeup remover or eye-drops or something along those lines. Turns out, it’s a product that turns your eyeshadow into eyeliner! It’s similar to the product Transfix eyeliner by Manna Kadar that I recieved from Wantable last month, but this one you need to use a brush to apply it (versus the other includes it’s own liquid-eyeliner style brush). I have a LOT of funky bright colored eyeshadows I know I will never use, so this is perfect that I can turn them into eyeliners instead. Maybe I’m a little biased, but I’m already a Nailtiques fan, so of course I was pumped when I recieved this product. I already purchase Nailtiques #2 (the same product as this clear bottle) which is an amazing formula to grow and strengthen your nails. My mom used to buy this all the time, and every now and then I would use it too and now I’m hooked. You can even bring it into a salon if you prefer having someone do your manicures for you and they’ll use it under your polish color. The nail polish included within this package is a good summer color, and although I already have a lot of pink polishes, I’ll be sure to give it a try. This is the one product I’m not sure will get much use. If only I was still in college and carried my school ID, key and drivers license in a lanyard when I went everywhere! Although I love the bling and overall idea of this product, I will either be gifting it to someone, or using it if I go to the gym and don’t want to carry a whole bag/my phone with me as well. So here’s the whole box! You can see that these products are all full-size, and definitely worth more than the $15 price tag (it was a bit less for me as part of their blogger program) and I would recommend Ambition Box to a female audience of 16-30 years old who have an interest in trying new beauty, skincare and makeup products. I’m extremely happy that there were no foil-sample packs or anything I could easily get for free through a company, but instead real, high-quality products. While I may not get much use of the blinged out lanyard, I definitely will be using the Nailtiques all the time, and testing the other products out. I would’ve loved the sugar scrub and the Purely Pro (I already use eyeshadow as liner sometimes! ), but I definitely liked the Magic Wand tool I received in my box though! I didnt know they sent different variations of their boxes, I wonder how many variations there are?